So, how should an author get their book into print? I hear this question asked a lot by authors once they have written their book. Many authors assume that the best way to get their book into print is to approach traditional publisher. Even when they have eventually found a Publisher willing to take them on, it is only a year or two later that they feel disappointed with the outcome. Many complain that they think the Publisher has not pushed their book enough, some say that if they’d have realised how little they would make out of the Publisher deal they wish they’d never bothered in the first place. Some are disgruntled by the high price their publisher charges them to take some of their own books to sell separately and many are frustrated by the effort they have to go through to extract themselves from their contract so that they can take a better route to sell their book. Even some best selling authors struggle to make a living wage from a publisher deal, only the few and famous authors make millions from their publishers. A recent article in the Guardian called for Publishers to increase the authors share of the profits, as a survey showed that full-time writers earn below the minimum wage! So what are the alternatives for budding authors out there? If a literary agent is interested in an authors work, they will represent the author to traditional publishers. The key is getting a literary agent interested in the first place – they don’t usually take on an author, unless they are famous or their story has mass appeal. Publishers want to sell a lot of books that have a ready made market, and if they can’t see a clear way to entice their end purchaser, they are not interested. Print on Demand (POD) service companies will happily take your book to sell. They only print a few copies at a time, sometimes with a true POD model only one copy is printed for each order. This avoids a large upfront investment from the POD company, but the unit cost is high, and therefore the royalty is very low on very small quantities of books. In addition POD production creates a poorer quality book; the print is toner, not ink, the binding is poor and the type of papers used is very limited. Many authors I have met have been very unhappy with the quality of their POD books and are looking for a better way. Beware of Book Packagers. Some authors end up paying literally thousands of pounds to edit, proof read, layout, index, market, supply and ISBN number, design a cover or other book related services. Most of these things can be done by the author or sourced at a much lower cost. The author is only usually provided with a low number of low quality POD books for them to sell themselves, with the Book Packager retaining the copyright and control over the content and production. At Beamreach Book Printing, we will produce you a high quality book that matches the look, feel and smell of a mass marketed book. 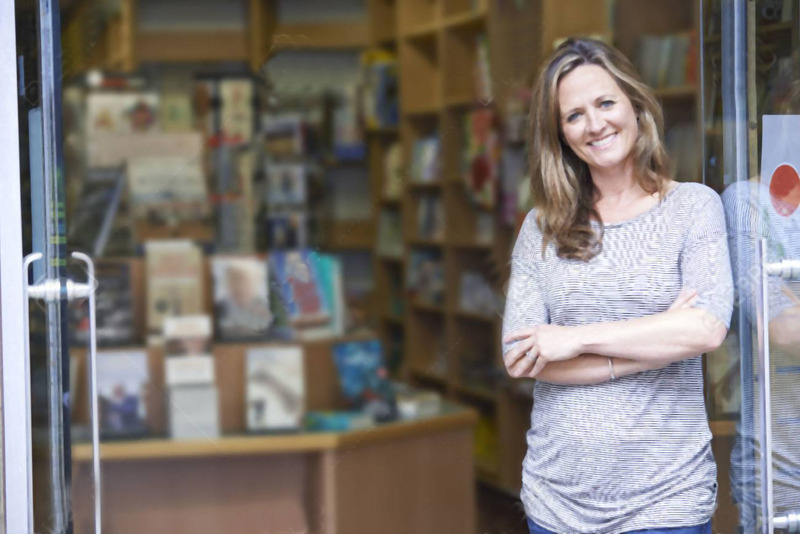 Book shop owners are experts in everything book related, and when you take your book to a book shop for them to sell they will spot a quality product straight away. The last thing you want is to have spent months and potentially years of effort to get to the point where you can present your book to a potential buyer, seller or distributor only for them to be distracted by bad production issues. We encourage our self-published customers to actively market their own books and be as involved as possible in the design of their book – a service which we can provide if you wish. Register yourself with Amazon and list your book with them to make it available to as wide an audience as possible. We do have minimum print runs to achieve this level of quality and these minimum quantities vary depending upon the exact specification of the book. Talk to us about your vision and let us make it come to life. With Beamreach Printing, you make all the profit. We are not about vanity publishing, we are about creating you a high quality book which fires you up so that you can market it to the people who you already know are going to buy it, so that you make more profit. If you make the right choices, you’ll be coming back to us for 2nd, 3rd and even 10th print runs. At Beamreach Printing we print novels, cookbooks, special interest books, guidebooks, children’s books, colouring books, and many more.